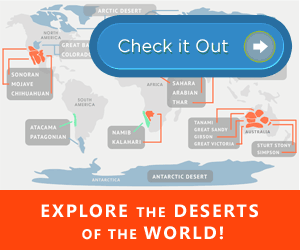 When you think of the seven continents, you usually picture the shapes outlined on maps and globes. However, the true edge of a continent is not its coastline, but its continental shelf. 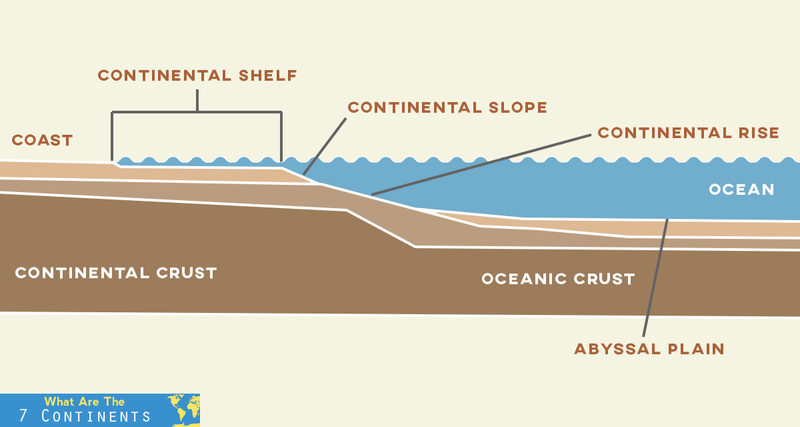 Continental shelves continue underwater, and eventually, drop off into the deeper parts of the oceans. If a map were drawn with these shelves in mind, the continents would have vastly different shapes. Interestingly, much of the world’s oil and natural gas resources are found underneath these shelves through offshore drilling. As the edge of a continent gently extends underwater, it eventually hits a drop-off point that is called the shelf break. At this point, the land begins a sharp decline, which is known as the continental slope. This slope leads to the dark, cold depths of the ocean floor. Continental shelves were formed in several ways. As rivers flow into the ocean, they deposit both inorganic and organic material. This includes sediment, as well as animal and plant remains. This deposition builds up over time to create continental shelves. Many continental shelves were created by the most recent Ice Age and were originally dry land. As the ice began to melt, and the sea level began to rise, parts of continents were submerged underwater, creating continental shelves. The Ice Age also created many of the fjords and channels found on continental shelves. As glaciers began to melt and slide down slopes, they created valleys in the land. Once that land was submerged, the valleys filled with seawater, creating fjords and channels. Ships use channels to navigate safely through shallow water. Because the average depth of water over a continental shelf is around 200 feet, these shallow waters are well-lit and warm, creating the perfect environment for plant life to flourish. In fact, all of the ocean’s plants are found on these shelves, as well as copious amounts of algae. This rich plant life attracts all types of sea creatures, and while only 10 percent of the ocean is found on continental shelves, these warm waters house most of the ecosystems. Continental shelves are also home to some of the least-explored parts of continents. Often, the mouths of rivers cut deep submarine canyons into these shelves. Very little light reaches the depths of these canyons. In Africa, the Congo River has cut a canyon that is almost 500 miles long and over 3000 feet deep, known as the Congo Canyon. Many of these canyons go largely untouched, leaving much to explore and discover. The actual widths of various continental shelves vary greatly. For example, parts of North America’s continental shelf are just over half a mile long, while the shelf off of Siberia runs approximately 40 miles underwater before hitting its shelf break. This discrepancy in size requires that there be two different definitions for a continental shelf. There is both a legal and geographical definition for a continental shelf. The legal definition, which is used by the United Nations, defines the term as submerged land that extends no further than 200 nautical miles from a continent’s coastline. Geographically speaking, however, a continental shelf is simply the parts of continents that extend underwater to the shelf break. Since 2003, the United States Extended Continental Shelf Project has been working to determine the geographical end of America’s continental shelf, past the 200 nautical miles outlined in the legal boundary. This effort is being made in order acquire more knowledge on the shelf in order to not only increase the nation’s economic growth, but to also make more use of natural resources on the Extended Continental Shelf, or ECS. The exact location of the shelf break is still unknown, but U.S. agencies are still working to accumulate and analyze data. As previously stated, much of the world’s natural gases and oil are found underneath continental shelves. In America alone, a third of oil and a fifth of the natural gas produced is accumulated through offshore drilling. Most of these resources are found on the continental shelf of North America, either off the coast in Alaska, or in the Gulf of Mexico. Maps of the earth’s continental shelves paint a very different picture of the globe than you are probably used to. In many cases, these maps represent what the earth used to look like, before the end of the most recent Ice Age. As the global temperature rose and areas that were once dry land became submerged, the shapes of continents shifted and changed to create the layout now found on maps and globes. 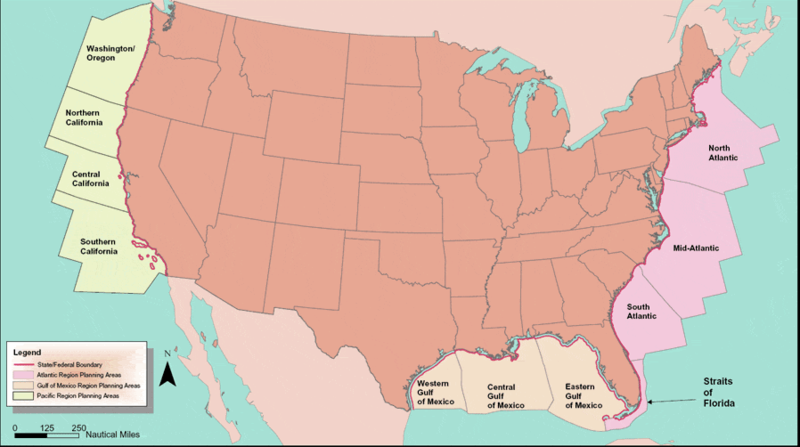 The North American continental shelf presents a vastly different picture than the map of the same land area. It is broken up into four separate regions: Alaska Region, Pacific Region, Gulf of Mexico Region, and the Atlantic Region. Of course, the width of the shelf varies from region to region. The continental shelf of the United States extends out potentially even farther than the 200 nautical miles outlined by the United Nations in some areas, which the ECS Project is collecting data to determine. The Bering Strait is also part of this shelf and was originally a land bridge that connected Asia to North America. 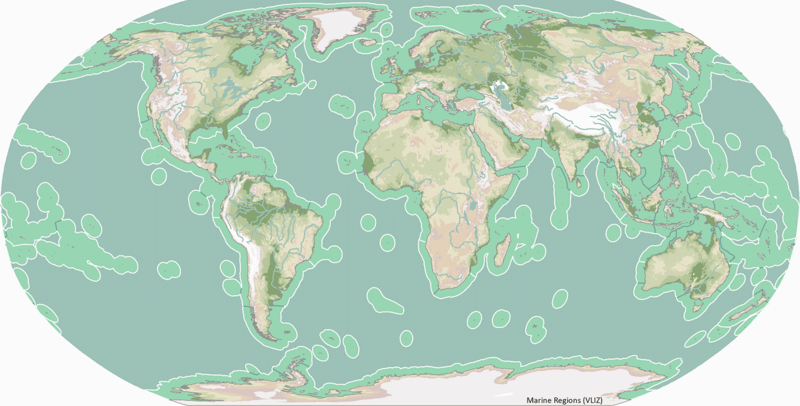 Continental shelves provide sunny, warm domains for sea creatures and aquatic plant life alike. Created by both deposition and rising sea levels, these shelves are essential to the survival of these organisms, and also provide many natural resources as well. The United States alone produces 25 percent of its combined oil and natural gas through offshore drilling, and many other nations do the same. These shelves also house many wonders yet to be explored, such as submarine canyons as well as fjords and channels. Many of these have never even been explored and house many secrets and wonders waiting to be uncovered. Continental shelves give clues to help determine how the earth has changed and shifted over time, as well. They are an invaluable resource in many ways, and a wonder to behold.